Romantic, suspenseful, and utterly compelling, The Second Silence takes us into the breaking heart of Noelle Van Doren, whose only child is snatched from her by her estranged husband, Robert, a powerful real estate developer. As Noelle and her long-estranged parents, Mary and Charlie, frantically peel away layers of mystery regarding Robert's past, the lives of each begin to change in unexpectedly wrenching ways. For Charlie and Mary, the years apart have made them realize that one's first love is often one's best love, but now new obstacles stand in their way. Noelle is astonished to discover her ability to open her heart to a new love. 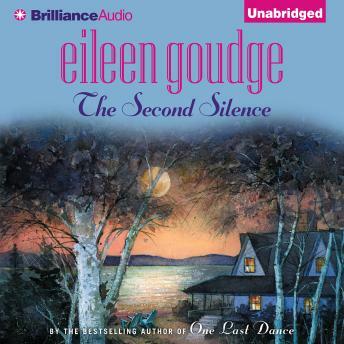 An engrossing drama, Eileen Goudge's The Second Silence will keep listeners transfixed from beginning to end.